The Encyclopedia of Islamic Civilization and Religion provides scholarly coverage of the religion, culture and history of the Islamic world, at a time when that world is undergoing considerable change and is a focus of international study and debate. The non-Muslim world's perceptions of Islam have often tended to be dominated by unrepresentative radical extremist movements and media interpretations of events involving such movements, to the extent that many people are unaware of the depth and variety of Islamic thought. At the same time, many who have had a formal training in Islamic studies have tended to concentrate on the traditional, to the exclusion of the contemporary. 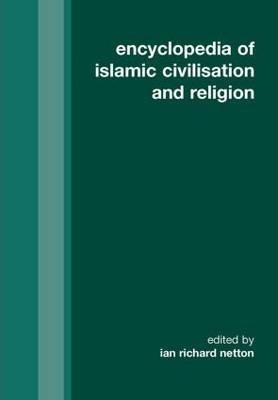 The Encyclopedia of Islamic Civilization and Religion covers the full range of Islamic thought, in historical depth, but it also provides substantial coverage of contemporary trends across the Muslim world. With well over a thousand entries on Islamic theology, history, arts, science, law and institutions, and coverage of Islam in individual countries and cities around the world, the Encyclopedia of Islamic Civilization and Religion provides an extremely rich resource for students and researchers in religious studies and Middle Eastern studies. Entries are cross-referenced and bibliographies are provided. There is a full index. Routledge published The Qura'n: An Encyclopedia in 2005, an excellent companion to the Encyclopedia of Islamic Civilization and Religion.